Spa treatment rejuvinates you and makes you feel better. Have this at home by getting the essential items. Scrub and clean yourself to remove the dead cells. Go for hair treatment by doing scalp massages. If you are too lazy to go outside for a spa treatment then here is a good way to bring that indoors. Know how you can get a spa treatment at home. How about a soothing spa experience at home to get rid of stress-filled daily schedule? Some easy things can help you rejuvenate body and soul at home. For creation of spa-like ambiance at home, you need to arrange some equipment and make some assembling adjustments at home. Long handled natural bristle bath brush. Range of anti-oxidant, anti-inflammatory cleansers, toners and moisturisers. Loofah or terry cloth washcloth (Don’t use synthetic scrubbers). In order to regulate capillary activities, restoring vitality, regeneration of new cells and eliminating waste matter from skin, essential oils and floral oils are used in spa. These are prepared from flowers petal. These are mixed with warm water initially and then applied with cotton cloth, followed by application of anti-oxidant facial splash. Soothing oils are lavender, chamomile, niaouli and ylang-ylang, whereas revitalising oils include eucalyptus, rosemary, peppermint and juniper. For tropical application, sweet almond oil is used. Dry brush the skin gently for stimulation of lymphatic system, so that toxins and excess water is eliminated. The second step is gentle application of essential oil on entire body. A small proportion of essential oil can also be added to bath salts, or can used in bath, which removes dead skin cells with wide circular gentle strokes. Alternatively, gommage scrubbing can be easily done at home. An ounce of sea salt is added to essential oil and water. Thereafter, paste is applied on the entire skin with the help of loofah or terry washcloth. This technique proves handy to exfoliate dead skin cells besides cleansing pores and activating capillary from body parts with excess water and fat. 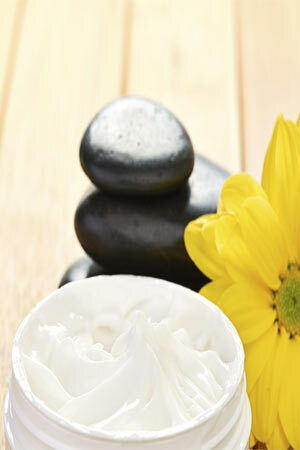 For toning, apply an anti-oxidant body toning lotion on dry body, except for the face. Apply sea sponge with drops of anti-inflammatory liquid cleanser to wash the face. Follow it with anti-inflammatory facial splash. Cryotherapy is another spa technique for facial rejuvenation, wherein ice cube is placed within the plastic bag and is rubbed gently over the face and eye area for plumping and toning effect. In order to make dry hair silky and shining, you need to massage with a paste of lavender/lemongrass/ rosemary oils mixed with herbal shampoo. Healthy eating has an impact on hair revitalisation. How to do Spa Treatments at Home?